Ashland, CA, is a community in unincorporated Alameda County struggling from decades of disinvestment, high unemployment, and amongst the worst health indicators in the county. The numbers of reentry residents is amongst the highest in the county, further impacting the area’s stability and needs. Despite all this, the community has strong bones to build on. Located near Bay Area job centers with great transit and transportation options, Ashland has received important community investments with the new Tiburcio Vasquez Health Center clinic, the $23 million REACH Ashland Youth Center, and Ashland Place, a $40 million affordable housing complex with a planned healthy food retail space. The Alameda County Sheriffs’ Office, Hayward Area Parks and Recreation District, Alameda County Public Health, and others have launched new programs that are engaging youth and adults in activities that are building community and promoting healthy behaviors. These investments are changing the way people see their community. 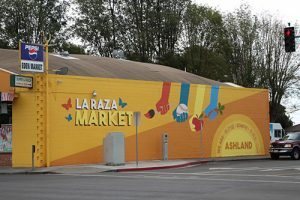 For instance, a local grocer collaborated with local youth artists and community partners to transform their storefront into a community designed mural. Now that same business owner is working with the Public Health Department and Mandela Marketplace to improve their produce selection and encourage healthy eating. Recognizing this momentum and the need for greater coordination, Alameda County Supervisor Nate Miley launched the Ashland Cherryland Healthy Communities Collaborative (ACHCC), a coalition of over 25 agencies, with dedicated staff to focus on aligning, coordinating, and leveraging our collective capacity and resources. Resources for Community Development (RCD), through our new neighborhood and community development initiative, is one of the lead organizations. We are helping to coordinate partners and bring neighborhood residents and grassroots groups to the table. ACHCC provides a cross-sector forum to align work in the areas of health, law enforcement, housing, economic development, and education to drive innovation and community change. It is tough, but important work. We may not always speak the same language (see Build Healthy Places Network’s Jargon Buster for help demystifying acronyms) and are funded through various streams that may not be well aligned. Yet the collective impact of this work is growing. There are many community members In Ashland who are socially isolated and disconnected. The community does not have a vibrant business district and lacks parks, open space, and community events that encourage engagement and social cohesion. The Alameda County Sheriffs’ Office, as part of its innovative crime prevention strategy, identified mental health as one of the top calls for service. Recognizing this, ACHCC came together to launch Famfest, a family-friendly event focused on walking, biking, and expanding access to health promoting resources that attracts over 1,000 people each year. Similarly, the Sheriffs’ Office received funding through the Department of Justice to host a monthly community event that transformed a blighted, vacant lot into a festival with local vendors, music, and activities. While it is too soon to measure the impacts, these events are well attended, with participants enthusing about having something to do in their neighborhood. This is a start and we understand it will take focused, long-term investments in such activities to turn around the health disparities in Ashland and Cherryland. Partners in ACHCC quickly realized that a top-down, agency driven approach is not going to solve the health, economic, and social challenges in the area. The well-established link between health and community engagement led partners to also focus on establishing a Municipal Advisory Council (MAC) to give a representative voice in governance to the community. The MAC would be composed of elected or appointed community members who will guide and advise the county on public health, safety, planning, and development decisions related to the community. After a year of community organizing, education, and awareness building, this grassroots effort led the Board of Supervisors to agree to a MAC for the area. Work continues as residents build a vision to inform the MAC, which will be set up by late 2018. In a community where over 75% of residents are people of color and there are large numbers of immigrants, developing civic infrastructure is a big step toward strengthening engagement and connection to/ownership of place and community. In closing, the community development and public health sectors now understand that healthcare is only one part of promoting good health; community engagement and participating in shaping policies that impact the communities where we live, work, and play is just as important to creating community change. Breann Gala, Community Development Initiatives Manager, joined Resources for Community Development in 2016 in a newly created position to launch our community development initiative. This initiative, Stronger Places, Stronger Lives, fosters positive community change beyond our housing developments and current residents to the larger community and its residents. We focus on strategies to address the health, child and youth development, employment and economic development, education, safety, and housing needs of specific neighborhoods. In Ashland, Breann leads a community organizing effort with local partners to support the development of grassroots leadership, placemaking initiatives to improve the built environment, and programs and investments that expand job training, health, early childhood education resources, and affordable housing that help stabilize families at risk of displacement. Breann’s previous experience at the Metropolitan Planning Council in Chicago includes policy research and project management. She was responsible for the design, research and implementation of regional housing and community development initiatives with government, private and public sector partners focused on housing mobility for low-income families, transit-oriented development, community planning, and neighborhood stabilization after the foreclosure crisis. 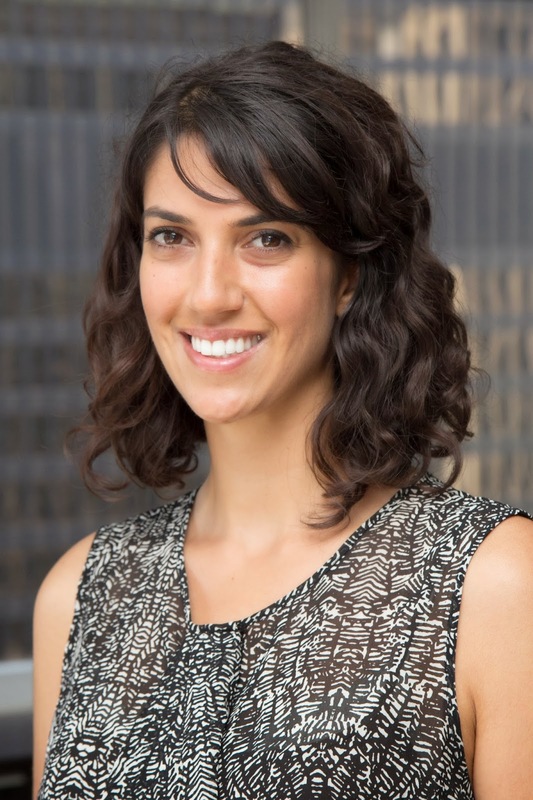 Breann has a Master of Urban Planning and Policy from University of Illinois, Chicago, and a B.A. in International Political Economy from University of California, Berkeley.